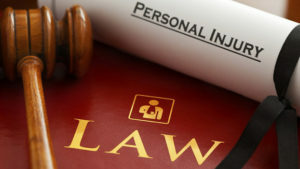 When there’s someone injured in a personal injury matter, whether it’s a car accident, a fall-down, a dog-bite, or some other situation, there are a lot of different things you can collect damages for. First of all, you can collect for your injuries, for the pain and suffering that you have gone through as a result of them. You can also collect, in some circumstances, for your unpaid medical bills depending on the nature of your case. You can also collect for lost wages up to the time of the settlement or trial, and even future medical bills and future lost wages going down the line. There are a lot of factors that go into it and it is a very individual situation based on each person’s claim or case. At the start of the case, we may not be able to know the full extent of the damages that you can recover because your injuries could worsen over time, you may have unforeseeable surgeries and other expenses that may be required as a result of your injuries. That is why we spend so much time at our law office here going over your case with you to make sure we include all of your damages to get the highest possible recovery for you.